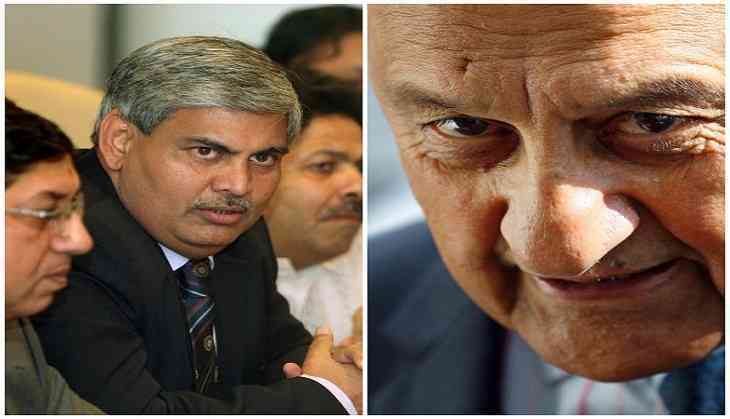 Outgoing Pakistan Cricket Board (PCB) president Shaharyar Khan has invited International Cricket Council ( ICC) chief Shashank Manohar to visit Lahore in the coming months. The news has been confirmed by Khan himself who said that he has extended the invitation to Manohar went the two met in London recently. However, no date has been fixed for the visit. If reports are to be believed, Manohar attend a farewell for Khan in Lahore as he leaves the post of the PCB chief. The PCB will elect their new chairman at their governing board meeting this July as Khan's presidential tenure of three years will end in August. PCB's executive committee chairman Najam Sethi is expected to succeed Khan. The meeting can be seen as an attempt by the PCB to bring back international cricket to Pakistan. No Test side has toured Pakistan since the March 2009 militants attack on the Lankan cricket team bus in Lahore, killing six Pakistani policemen and injuring some of the visiting players. However, low-ranked sides namely Afghanistan and Zimbabwe had toured the country for a limited-over series.